If you’re anything like me, you know that just playing well is not enough. In fact, it’s not nearly enough; not by a long-shot. An audience needs something more to be engaged, a little oomph. This is exactly what you need to learn. 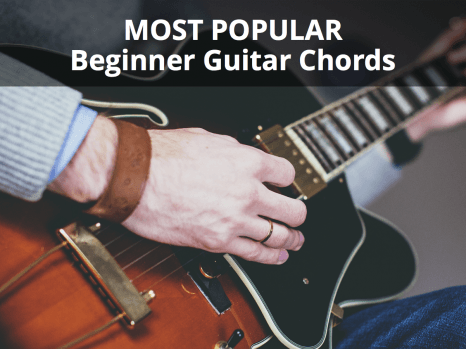 If you are a beginner who is starting to get your feet wet in the guitar world, it’s likely you are feeling very motivated once your chord changes start to come along and you can play many of your favorite songs. This honeymoon phase lasts until you play for someone else and you see his/her eyes glaze over in complete boredom. Some may even pick up their phones! Comedians know this very well. It’s not enough to tell a good joke: you need to lead the listener into it and make them emotionally involved in the joke to have a real impact. If you do it right, they will crack open laughing, and if you do it wrong, you’ll know. Guess what? The same applies to other arts, including music! In this lesson, I’m going to show you some of the tricks guitar players use to add flair to their playing. 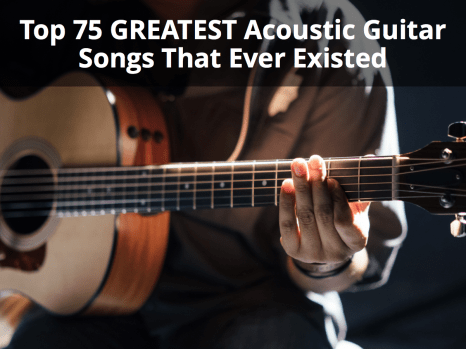 These will make your music much more interesting and engaging for your audience. You’ll see video timestamps throughout the article which reference sections in the video below that explain the techniques, styles, and melodies used. It’s relatively easy to learn to play. 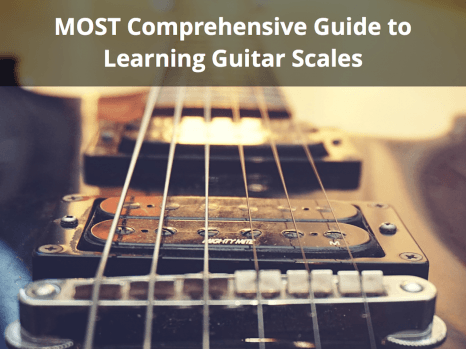 Learning chords and scales is pretty much a matter of practicing enough. I know, I know, it’s a little more than that, but in general, the more you practice, the more you can improve your skills. For some reason, though, we don’t usually like a machine to play our music, and instead we prefer real musicians to play it. Here’s when the real skill comes into play. Playing with flair/taste is actually the main differentiator between an amateur player and an expert or professional player. It doesn’t matter how many complex chords you play, nor does it matter how fast you can sweep through the strings; it only matters if you can make the notes, and therefore your composition, sound nice. Long story short: In order to add flair to our music, we need to use additional techniques that add emotion and groove. This goes beyond the sound of the notes we are originally playing. The techniques themselves are common knowledge. The problem is not what to use, but how you use them, and when. Here is a quick rundown of the techniques we’ll use. Note that these are not full tutorials on these techniques. This is when you play a note, or group of notes, and slightly change the pitch of the string around. There are two ways to do this, either push/pull the string up and down while holding it down on the fretboard, or use the tremolo bar (if your guitar has one). The amplitude of the movement will determine how much the note frequency oscillates, and will give you different outcomes. Similar to vibrato, for this technique we’ll be pushing the string, while holding it down on the fretboard, enough to make the pitch go up, generally by one or two semitones. Usually, you’ll push strings up, but it can be done downwards too, especially when bending the wound strings. Instead of placing a finger on each fret, when doing an ascending or descending progression on the same string, we can slide our finger, while holding the string down. This technique is frequently used both in soloing as in playing chords. In order to play a single note on any string, normally you have to push the string down on a fret, then pluck the string. With this technique, you can leave out the plucking part and still get the same notes. Similar to the hammer-on, you can pluck the string with your fret hand when removing a finger, so you get the same benefit and ease. A passing note is a note that is usually not on the key we are playing in, but we use it as a sort of bridge while moving on to another scale note. They can add a lot of tension and taste, but you should never dwell on these notes for too long or else it will sound off. We’ll use a simple example to enhance using the techniques we just saw. Let’s see how the original melody sounds. Both the melody and chord progression are in the key of G major. It sounds okay, there are no off-notes and no weird sounds, but you can tell that there is not much interest either due to the way the melody is played. It feels lifeless, which in turn makes it boring very quickly. It’s still a very rough diamond which doesn’t cast any reflections. Don’t worry, we’ll polish it right away. For starters, I think the worst part of this is the notes that sound for too long. There is no real explanation as to why this is so, but for some Psychological reason, if a single note sounds for too long without any change in tempo, ring, intensity, or else, it’s no good at all, and it sounds off. Because of that, we are going to use vibrato on each static note, that is, a note on which we dwell for a quarter note or more. Also, I’m going to change some of the notes with bends, so that it will bridge the gap between the spaces because, in my mind, playing too many picked notes too slowly doesn’t sound right to me. We are going to introduce hammer-ons and pull-offs too which will add a more continuous sound when playing the faster parts. Slides are great to use whenever we are shifting the position of our hand, but it doesn’t have to end there. Most guitar players like to start a lick by either sliding in from below or above. It has a nice sound to it, so we are going to use that as well. Using a passing note tends to be trickier. As a fan of Marty Friedman, I love using passing notes because it adds a certain Friedman-esque touch to virtually any lick, especially when combined with bending and vibrato. For this melody, I’ll use it once so as not to disrupt the sound too much. What? You don’t know who Marty is? If you happen to have missed the 80s and 90s metal scene, he is a legendary player from Cacophony and Megadeth, so definitely check him out. What do you think? Is it better now? I think it’s much better, and in fact, makes the first melody sound pretty boring and less appealing. There’s quite a lot of things going on in the enhanced version of the melody. Most, I’m afraid, are part of my personal style, which you might or might not like, but in any case, there’s no real formula for it. However, there are three takeaways I hope you take with you. 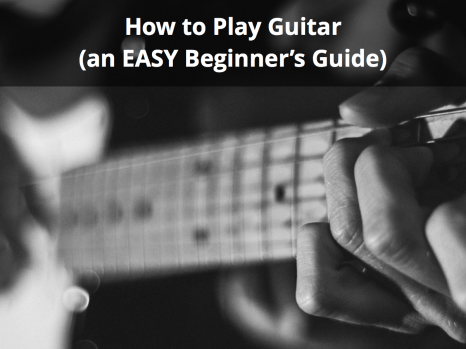 Want to know how to spot a beginner guitarist? It’s probably the one who doesn’t use vibrato. The thing is that whenever you are playing a single note for a quarter note or longer (sometimes even shorter) you should consider using vibrato with it. Ever noticed why violinists constantly use the same vibrato technique as in guitar? Well, they know it makes the notes much more natural, as it adds a certain degree of continuity that our ears dig. Vibrato? Pay attention to Shia. I don’t know why it does, but it just sounds cool. Every guitarist and their mothers do it, so you’ll be alright doing it too. Whenever you switch your hand position, sliding the first note will help bridge a large gap, plus adding that cool vibe. Whether you want to slide upwards or downwards is up to you and your style. Of course, this is one of those techniques you can’t overuse. Make sure you are not sliding on to every note, and it’ll be fine. Correctly bending a string is a sign of a good guitar player, yes. However, you should note that there is much more than just pushing the string up and down. Like I showcased in the enhanced melody, there’s a lot of cool tones you can achieve by strategically controlling how fast or slow you raise or lower the string, in addition to getting different effects by not just doing a straight up and down bend, but starting with the string bent and then come down in a controlled fashion. You can make or break a melody if you mess up this one, so definitely learn to bend strings like a pro and you’ll manage to overflow your licks with emotion and power. A definite must! There is another very important aspect which affects the flair factor of your music that we have yet to talk about. It actually has nothing to do with the music itself but is just as important. Do you ever wonder why they call it a show? What is the difference between a show and an audition? From the start, an audition is only about sound, that’s why the word comes from audio. However, when we get to a show we start treading on a different territory, and it’s easy to tell that there’s more to it than just sound, or else people would gather up at a venue to hear the same recordings they can hear at home. Of course, this would never happen. People want to see the artists. They want to be with them and enjoy singing/dancing to their music. Because of that, it’s very important that you not only play engaging music with lots of flair, but that you also present an image that is just as engaging. It’s like what happens with clowns. Clowns can be quite funny, but it would kill the vibe if the man playing the part were to be sad and walking around with slump shoulders and bad mood. It would be a major turn-off for the crowd. This is because a performance usually, if not always, comes down to not only what you do, but also how you do it. If you want to make people interested in your music, you’d better know how to engage them, and for this, although there are no fixed rules, there are a couple of ways in which you can make it easier for the audience to relate to your performance. For starters, you want your performance to be set in an ambiance that mimics the mood of your music. If you are playing “happy” music like bachata or merengue, you must make sure that your performance is also emphasizing the same emotions (smile, have bright lights and colors, etc). If you are playing grim and dark music, like doom metal, you should choose darker settings with a more sinister look. This is exactly the reason why clowns dress up in such a goofy way and wear such bright colors. Did you think it was because they looked cool? Not so much. Your attitude will also affect the way your music is perceived. Do you think it’s a coincidence that most rockers from the 60’s and onwards tend to behave in a badass way, like a modern-day James Dean? No, of course not! This is due to the way rock music came to be. From its beginnings, it branded itself as a music for the rebels, for the young ones who wanted to break free from the old, rigid stereotypes of music. Behaving like a rebel further emphasizes this, and that is why that kind of persona works so well for rockers. Whatever you choose to do, you’d better have a persona that goes along with it. If you can be yourself, even better. Don’t look at it as a fake, and instead look at it as playing a character in a movie: you are both writing the plot and playing it, so you’d better choose something that will get the job done. If you want to know more about this topic, I have a full article talking about body language and attitude that will help people take you seriously and listen to what you are playing, instead of pulling out their phones and browsing social media for kitty videos. You can check it out right here. We’re nearing the end of the article, so I want to sum up what we’ve seen. We started from a simple melody. It sounded OK, but quickly turned boring. We learned a couple of tricks that help make the melody more interesting while making sure of not overusing them. We saw that just as important as the music itself, we have to make sure that our attitude and persona are in line with the emotions we are trying to kindle on the listeners. If you’ve never practiced these kinds of skills, I definitely recommend you start paying attention to them ASAP. Remember that only guitar players know the trouble it takes to pull off complex guitar techniques and even though they might recognize it, the rest of the audience probably won’t, and rightfully so. It’s better to have an intermediate-skilled player that can pull off cool sounds, than an advanced guitarist that sounds just like a synthesizer. How to practice all of these techniques could be the subject of an entire book, Just bear in mind whenever you are playing that you should also play with style, not only technique. Needless to say, these principles apply to every music style. It doesn’t matter if you are a metalhead (like me), or if you are into pop rock, jazz, or bluegrass. If you found this lesson useful, don’t forget to share it with your friends so they too can benefit from it. …and with that said, thanks for reading! Now go out there and start playing! About the Author: Max Chiossi is a guitar player and engineer with a laser-focused approach. I have been playing in bands and gigs for over 10 years. 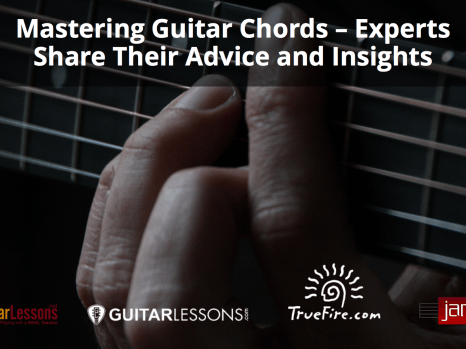 If you want to read more from me about effectiveness, psychology applied to guitar, and how you can benefit if you are struggling, visit my website at www.iwillteachyoutoplayguitar.com, or send me an email to max@iwillteachyoutoplayguitar.com.